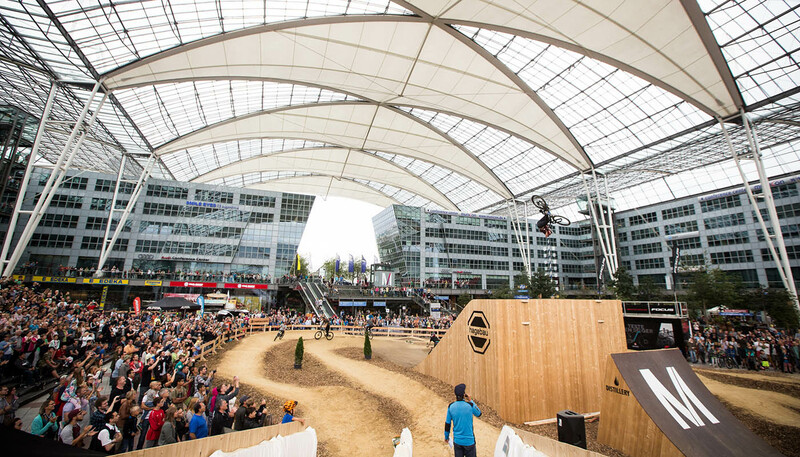 For the world premiere of Bike & Style, Munich Airport became a magnet for the international mountain biking scene for the first time during the summer holidays. 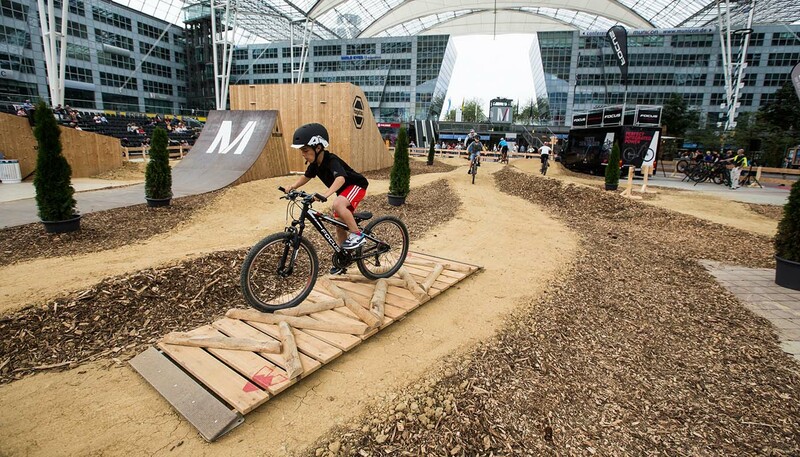 For 17 days, the MAC-Forum was dominated by a 3,000 square meter bike parcours with a giant ramp. 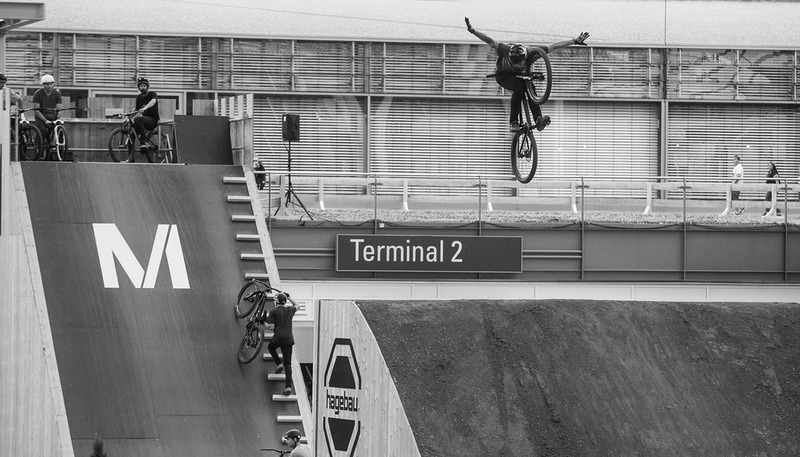 Every Friday evening and Sunday afternoon, international superstars were catching air in freestyle biking shows. 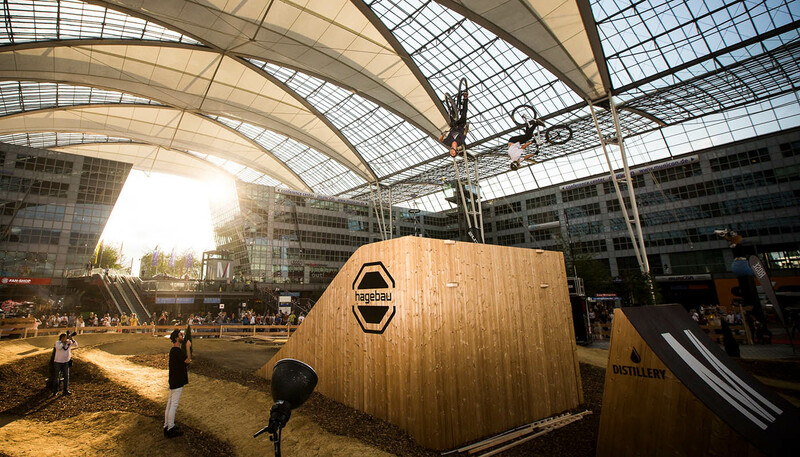 In the high jump contest, the professionals - such as Sam Reynolds and the top German riders Nico Scholze and Tobi Wrobel - competed for the highest bike jump: an uplifting experience for spectators, too! 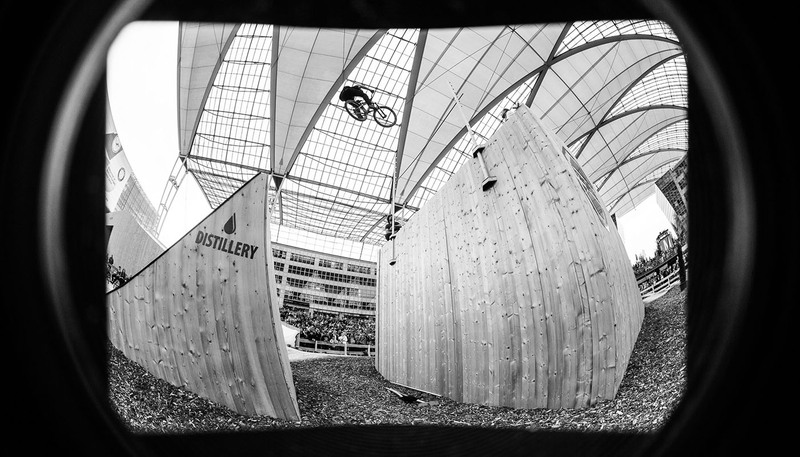 They cheered their favorites and experienced the exciting atmosphere on a 500-seat grandstand. 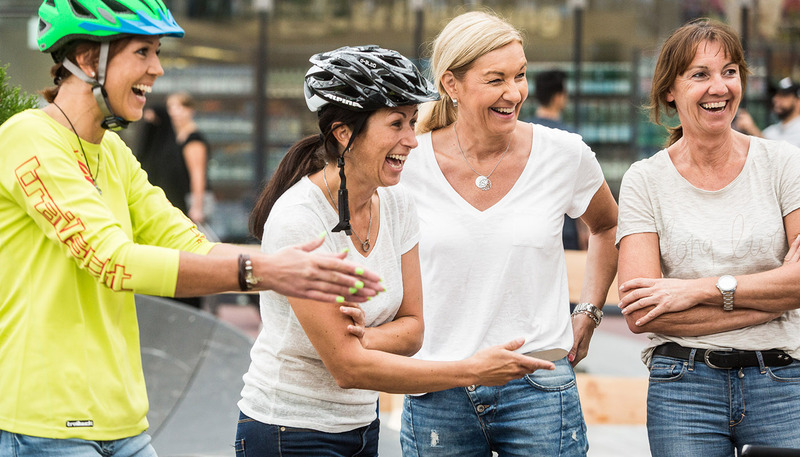 Bike & Style also had activities where the whole family could join in: Anyone curious about the latest mountain e-bikes could try out the latest models from our partners Rose Bikes and Focus Bikes on a test course. 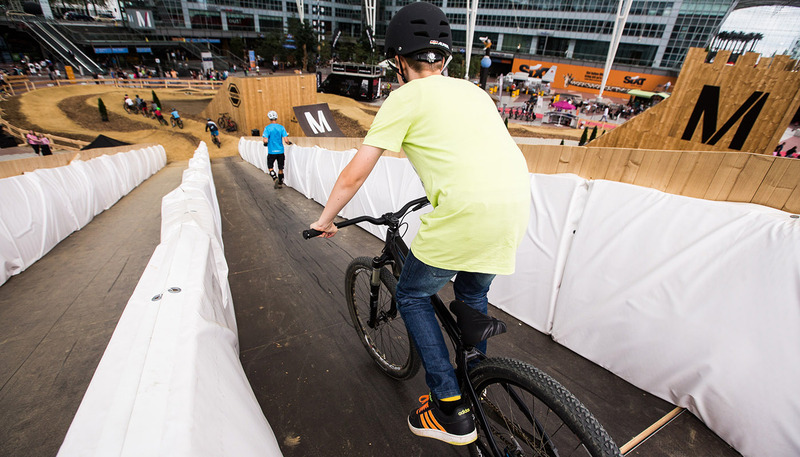 And the pump track, a special course on soft ground, offered the opportunity to try "pumping": creating forward momentum on a bike with up and down body movements. Children's camps and workshops were offered for kids under 16 in the mornings. 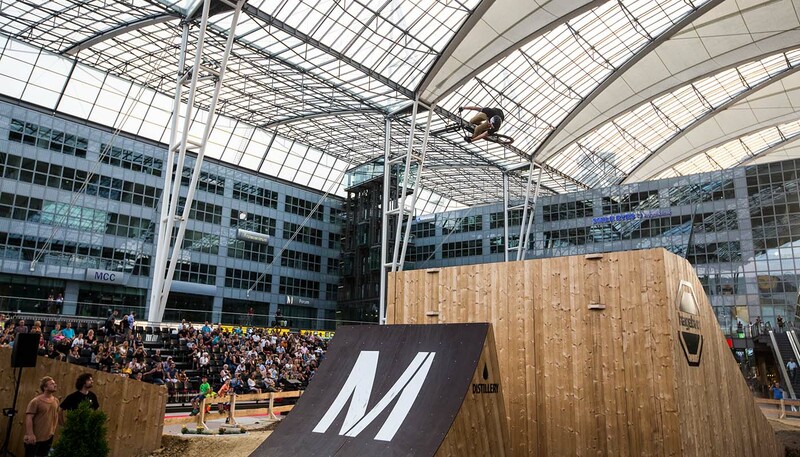 For the world premiere of Bike & Style, Munich Airport became a magnet for the international mountain biking scene for the first time during the summer holidays. 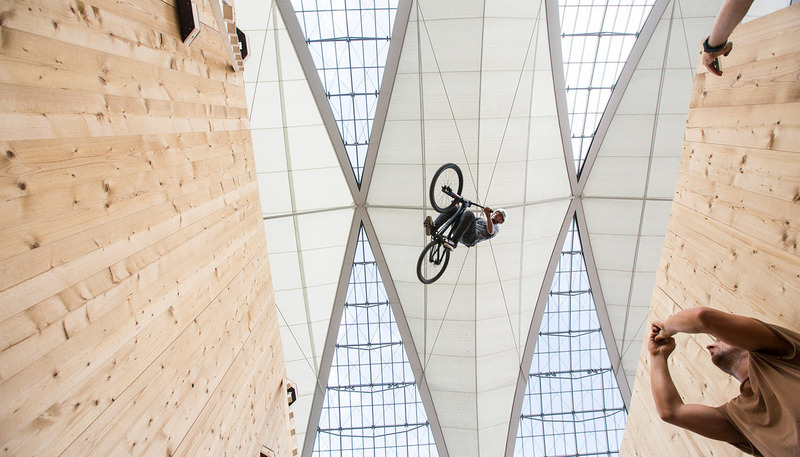 For 17 days, the MAC Forum was dominated by a 3,000 square meter bike parcours with a giant ramp.